Spare parts for newer style Twistshifter light, will not fit older "triangluar" style shifter. I've noticed, via Q&A, the old triangular twist grip can be replaced with an updated version. Mine has worn away and it is not good in wet weather, so a newer design would be better. I cannot find Part number 10973, which you've recommended to another customer. When I type it in the search box, something else appears. Unfortunately these are no longer available and you will need to upgrade to the newer style shifter. Does This Come In A Left Hand Version? Unfortunately the left hand version of the shifter still uses the smooth design so only the smooth replacement rubber grip is available. these are SJSC part number 27186. Re: .......Is There A Replacement Grip For The Original Standard Triangular Grip Twist Shifter? Is the O ring included? Another post suggests it is not. There is an O-ring included. Will This Fit The Previous Version Twist Shifter? My twist shifter is this version in link below. Will the new wave design fit the previous non triangular shifter? 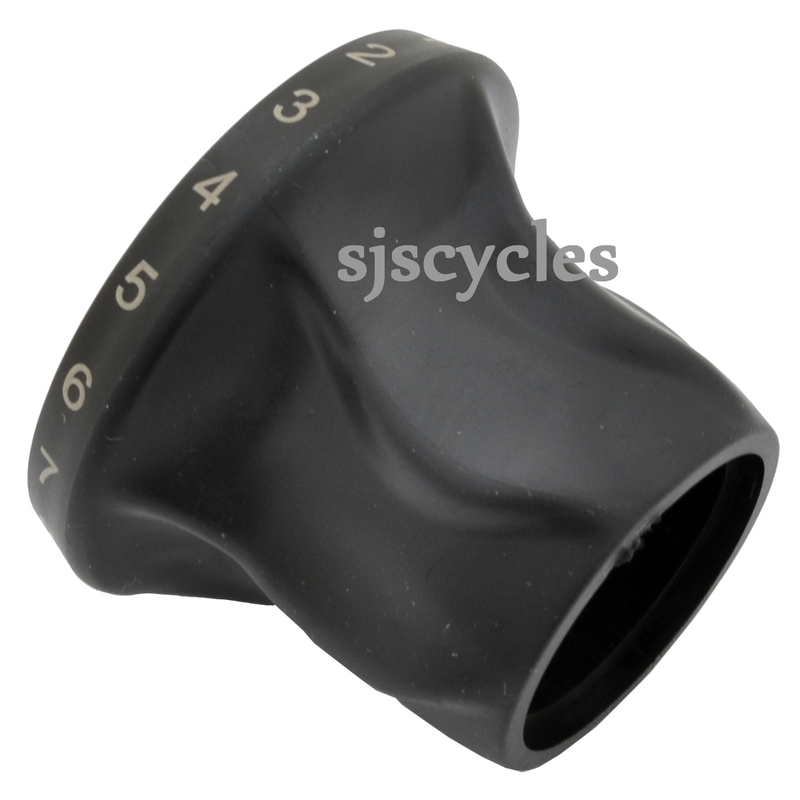 Yes this rubber grip will fit your twistshifter as you have the twistshifter light. The twistshifter light used to come with the smooth grip (non-triangular), but this was slippery in the wet so they changed to the wave design for more grip. So all new twistshifter lights come with the wave design and all twistshifter light's with the smooth grip can be upgraded to the wave design. Does The "Wave" Grip Include The Oring? I see Rohloff recommend an oring with the cover. Is one included with the new "wave" grip cover, or must it be transferred from the old grip? These replacement rubber grips should be supplied with a new O-ring. New Twistshifter How Do You Replace? My original twist shifter is very worn and is difficult to grip when it is wet. How easy is it to replace as I cannot see how it is fixed? The new wave design looks to give a better grip, is this correct? If you have one of the newer Twist Gip Lites, then it is just a straight swap, they should be able to slide off the main body of the shifter when there is no cable tension. If you have the older original design shifter then you will have to replace It like for like with the same grip or purchase an entire new wave design shifter.